Enjoying a lunch menu with a side dish of Shrimp Tempura seems quite enjoyable. 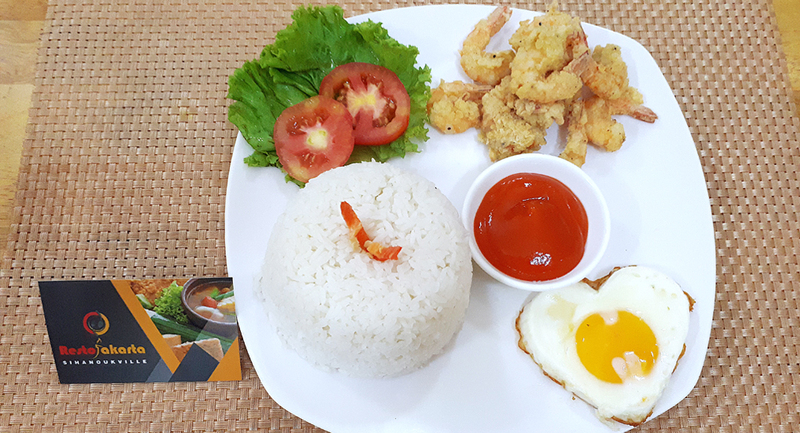 The combination of fresh shrimp meat wrapped with flour and put into hot oil. Deep fried to a golden yellow color, raised and served on a plate with white rice and sauce will make your lunch taste good.